Trucks keep the country moving, and we keep the trucks, trucking. Our 24 Hour Road Service crew has nearly half a century of experience, addressing many minor repairs on-scene. Because we service many basic repairs at the site of breakdown, we’re able to save our commercial trucking customers thousands by eliminating the need for a tow. Commercial roadside assistance is available 24 hours a day, every day of the year. Due to the wide range of makes, models and failures, not all trouble calls can be handled at the roadside. 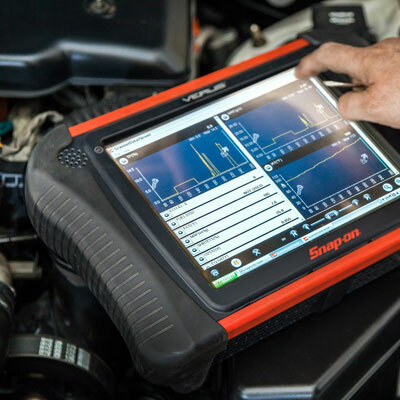 Trucks and semi-trailers are built for demanding service, and diagnosing them requires the latest high-tech tools. 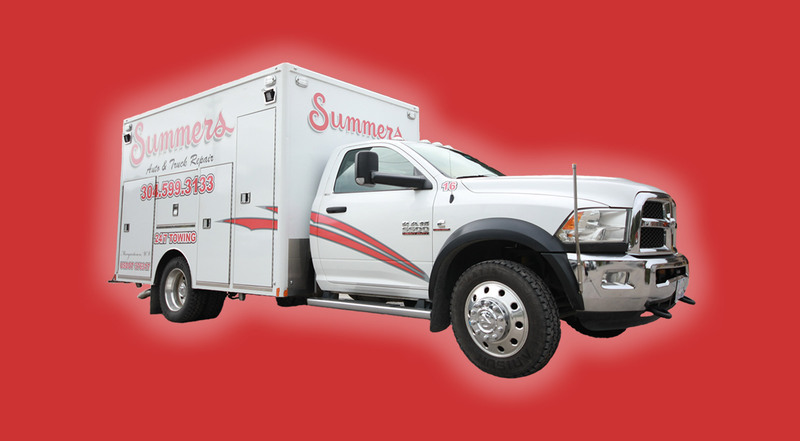 Summers Towing utilizes advanced computer diagnostics for class 8 trucks and light-duty diesels. Our state-of-the-art tools allow us to diagnose engine, transmission, ABS, traction control troubles and more. Eliminate the guesswork. Call us now and we’ll dispatch a tech to your location, getting you back on the road ASAP. We provide basic electrical diagnostics, with available battery and starter replacement. Summers is standing by, ready to service your heavy duty truck tire needs. From flats to road gators, our trained staff has you covered. New Tires can be delivered on-site, with pre-mounted wheels. Please call to ensure we can service your specific tire and wheel combination. We also provide engine fluid delivery, such as oil and coolant. The fastest way to stop a long haul is faulty brake system. Don’t trust your biggest safety feature to just anyone. Summers dispatches certified brake inspection and repair specialists to your location. We service most types of basic braking-related repairs, including leak detection and hose repair.